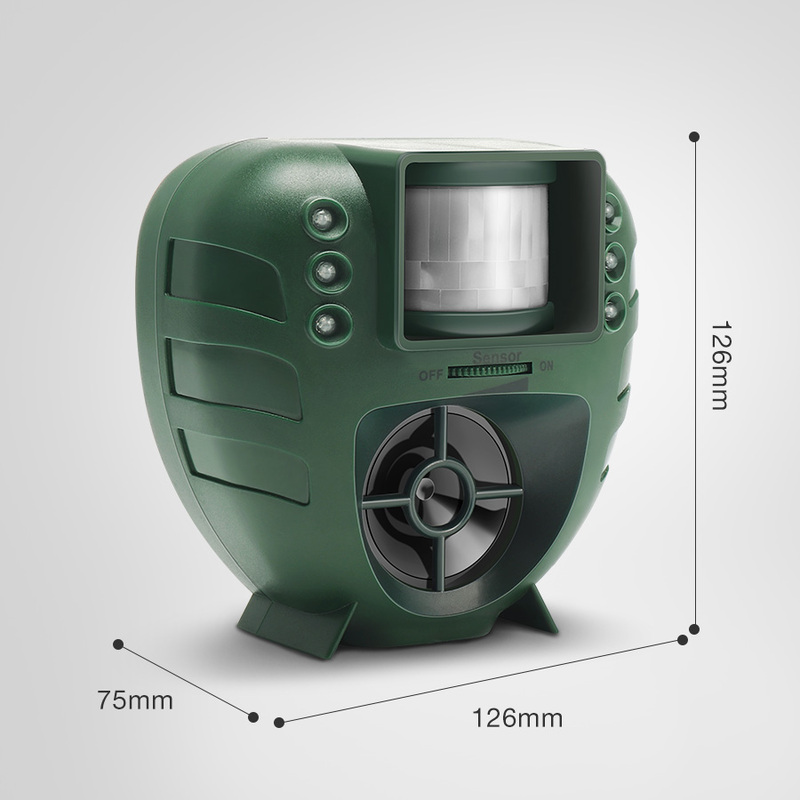 Digoo DG-AR01 PIR is a unique and ultrasonic insect and animal repeller that work wonders in your home and especially the garden. 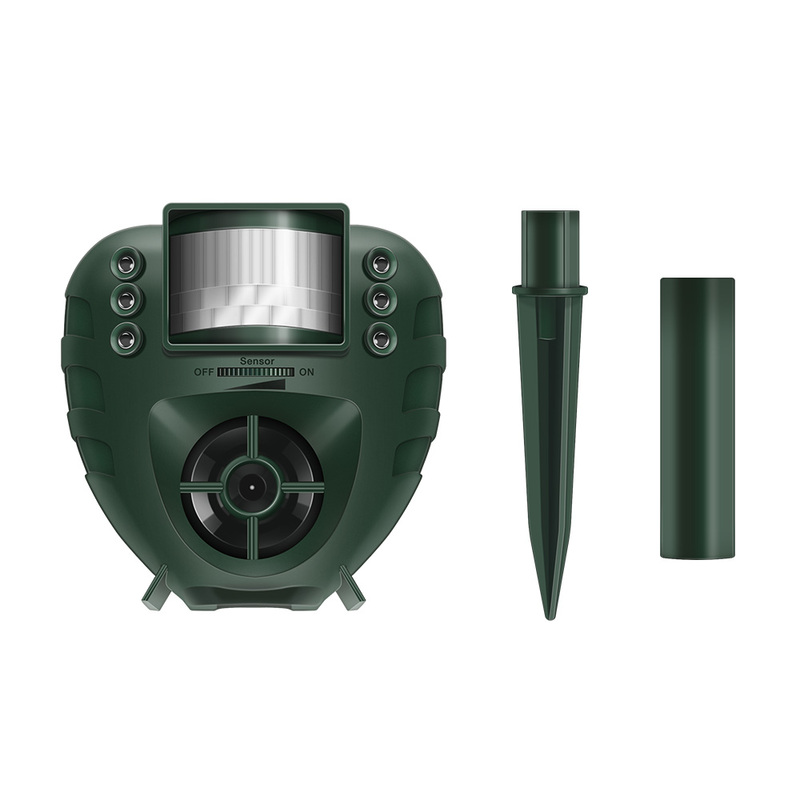 The repeller is designed to keep of various insects and animals like birds, cats, rodents, dogs, rabbits, and others from your garden, farm, outdoor areas, yard, etc. 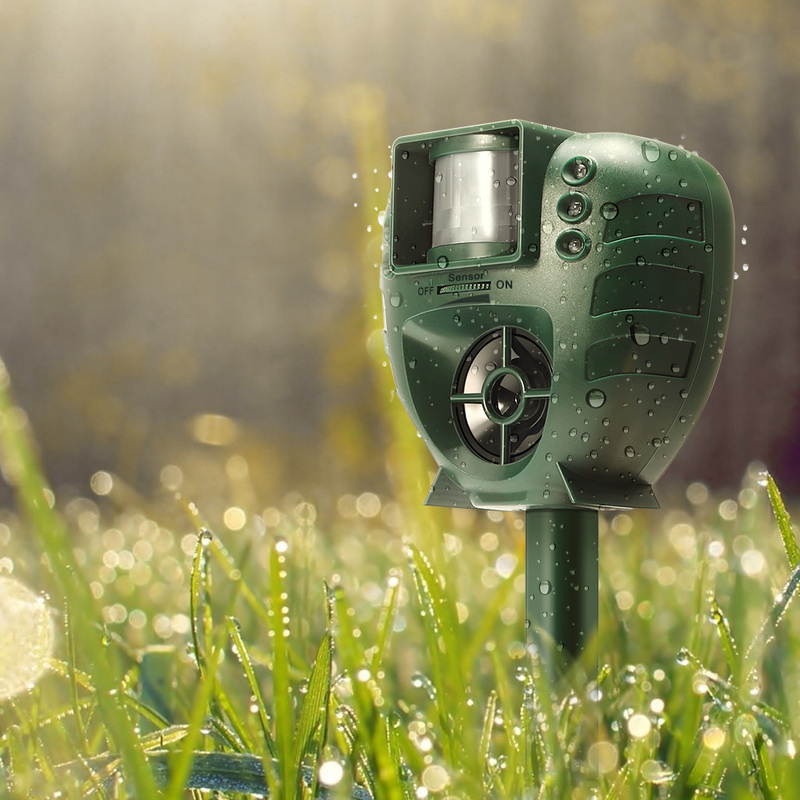 Ultrasonic Animal Repeller has a 100 degrees angle real times monitoring that has a PIR with an infrared sensor detecting motions, an LED light, and an ultrasonic speaker. The unit has a measurement of 126mmx75mmx126mm and weight of 300g making it easy to move from one place to another that’s affected by rodents, insects or animals. The IP44 waterproof cover makes it easy to keep it outdoors even when the weather is harsh. And it operates on a working current of 13mA and a standby current of 0.8mA, and it uses 4AA batteries for its power supply. 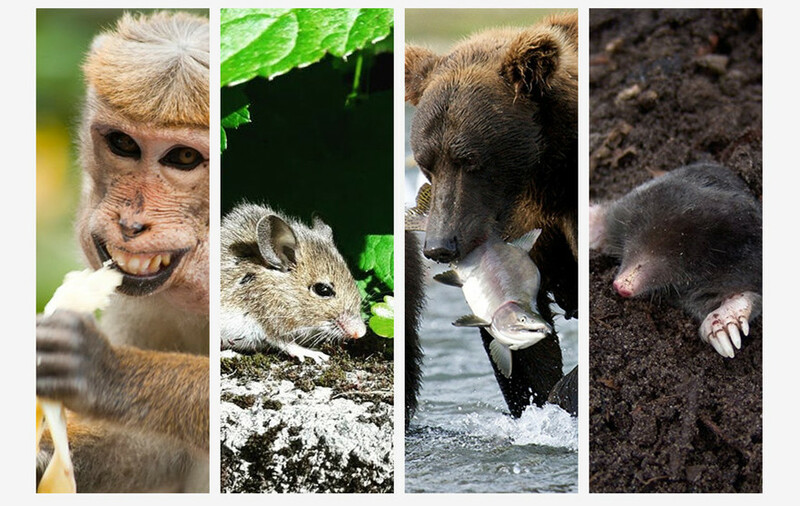 Additionally, it comes with a built-in infrared sensor that can easily monitor and detect any motion with 30ft radius making it easy to know when the animals are invading your home. The sensors are adjustable. 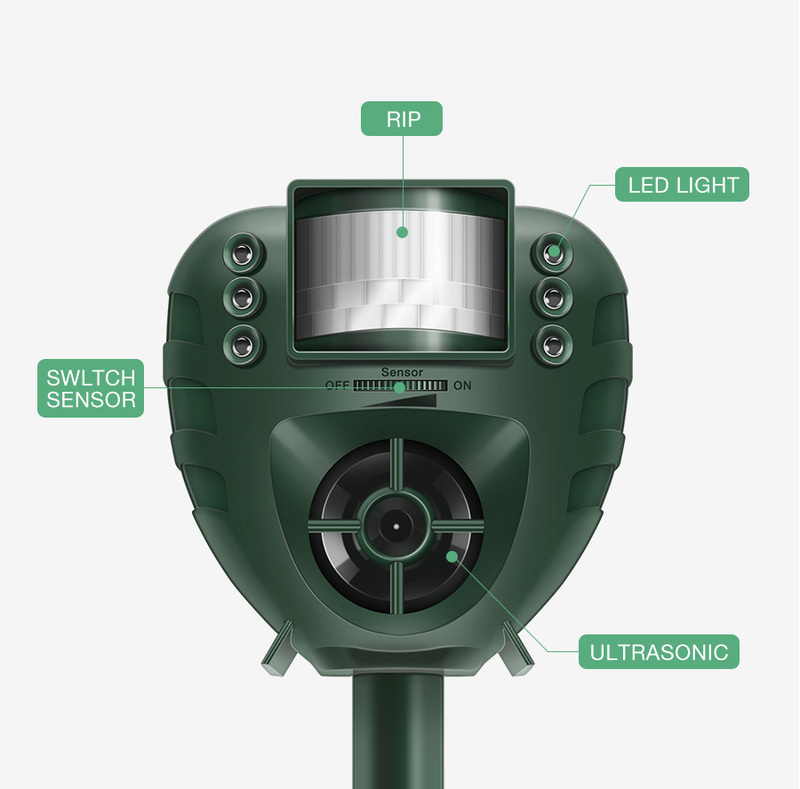 Once the repeller finds an insect or animal, the devices automatically activate the ultrasonic speakers to a frequency of 4k Hz to 25k Hz, and it also enables the bright LED lights successful repelling various animals, pests, and insects. The best thing about Digoo DG-AR01 PIR Ultrasonic Animal Repeller is that it’s not harmful to the animals, pets, and people. 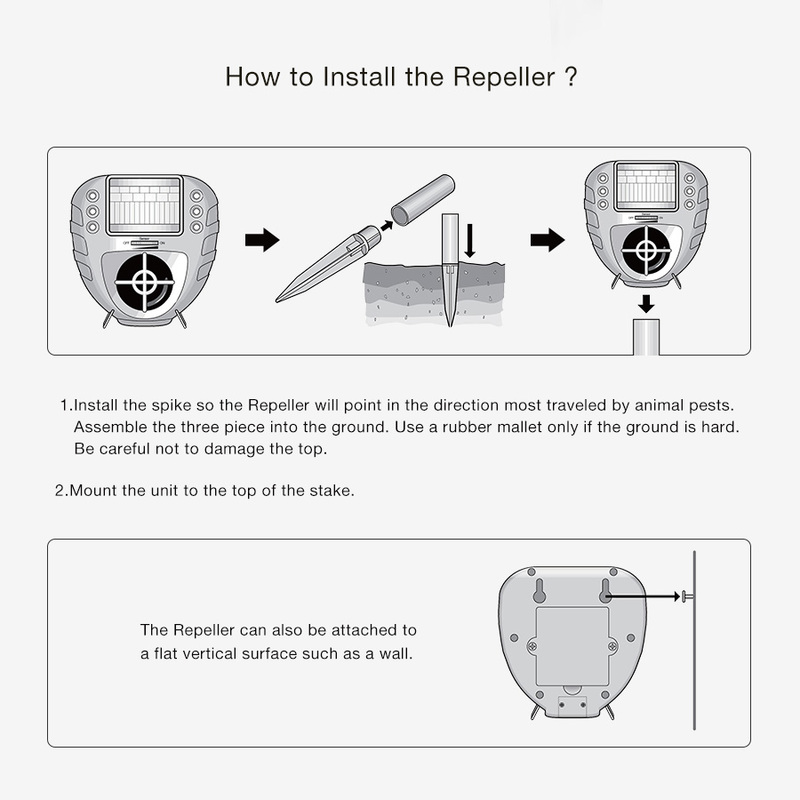 The repeller comes with spikes and you need to install the spikes so that the repeller points in the right direction that is most traveled by the pests and animals. You need to assemble the three pieces firmly into the ground. Hold the replier careful to avoid damaging it. Take the repeller unit and mount it alert on top of the stake. You can also attach the repeller on a flat vertical surface like a wall. Ensure that the primary product sensors, LED Light, switch sensors, RIP and Ultrasonic are well visible and working correctly. 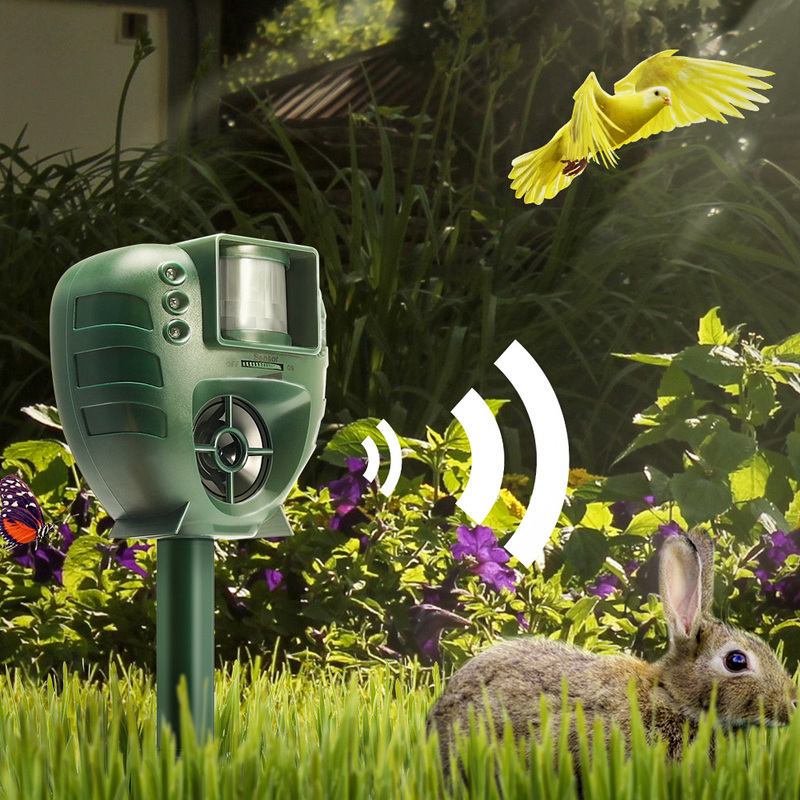 Leave the Digoo DG-AR01 PIR Ultrasonic Animal Repeller and let it work out its magic. It comes with a standby time making it easy to monitor. The Digoo DG-AR01 PIR Ultrasonic Animal Repeller is a smart device uniquely designed to keep your home free from any troubles from any animals any time of the day or night.